Your Visitors are Taking Environmental Action? Reward Them! To stimulate demand for sustainable tourism, there may be a greater need for financial incentives for consumers and businesses. Small businesses might especially benefit from financial incentives for implementing operational changes that lead to net resource conservation from measures such as rebates and tax breaks. If the savings were passed onto consumers, it might lead to greater demand and result in faster industry performance improvements. Financial incentives, even if small, have the capacity to draw the attention of market segments (such as the masses that are not yet eco-conscious) and encourage participation in initiatives that may be educational and raise awareness. Economic incentives are considered a key component of sustainable tourism growth. Yet, there are very few examples of this when it comes to producing or purchasing tourism products. It is well known that existing “eco-conscious” tourists are not really motivated by price and that most others, and especially mass tourists still are. Moreover, studies also show that price is perceived as a significant barrier for purchasing responsible tourism experiences1. Offering financial rewards is not relevant to all businesses since some tourism operations offer clients opportunities to participate in different activities (especially eco and nature-based) that lead them to better understand the importance of natural resource conservation. It is assumed that such experiences might be rewarding, because they are meaningful at a personal level and clients automatically benefit by learning and can often result in responsible action elsewhere too. There are many examples of small incentives to encourage responsible behaviour, such as giving a small discount for reusing a cup in café, giving away reusable shopping bags away at stores and so on. But why not reward tourists for partaking in environmental actions? Here are some examples from around the world. In 2009, Roskilde Festival in Denmark2 focussed some of its environmental initiatives on climate change with its Green Footsteps campaign. The organizers encouraged clients to take at least one environmental action, such as arriving at the festival by public transport instead by car and awarded them with green footsteps for this. A total of 40 000 actions were taken by festival-goers linked to cut energy consumption and CO2 production, and as a reward, those with enough green footsteps could reserve a spot at the camping area before it opened for the general public. Those with the most green footsteps were also invited to join the festival’s Climate Community, a camping quarter providing an enriched visitor experience for participating patrons. They were offered engageing activities, knowledge about climate change, climate friendly showers (energy from wind, sun and humans on bikes) and a dance floor. Phillip Island Nature Parks3 (PINP) in Victoria, Australia provides wildlife experiences involving a variety of species, notably the Little Penguins whose conservation and volunteer program also includes a reward component for participants. PINP manages numerous conservation projects such as revegetation and weed removal, amongst others. The park rewards every international and domestic volunteer who helps with conservation works by offering free accommodation. The park also waives park entree fees for participating international volunteers. As do many zoos and aquariums around the world PINP also runs an “adopt an animal” program, where visitors can donate funds to help with penguin and other environmental conservation works. Those who participate become members and once a year receive free tickets to see the penguins. PINP is a not-for-profit organization and does not receive ongoing funding from the government, and it generates its own revenue to ensure business viability. GeoEx4 is a tour company that offers all its travelers who contribute $250 or more to the Living Planet Trust (a donor-directed fund administered by the Tides Foundation of San Francisco) a $250 travel voucher toward a future trip. These tax-deductible donations to the Living Planet Trust are dedicated to offsetting the carbon emissions generated by travelers’ international air passage and to funding local initiatives at the destination they just experienced. Several ski resorts in North America have carpool and bus incentive programs, encouraging skiers to take fewer cars to the mountains. For example, at Arapahoe Basin resort5 in Colorado, guests with four individuals in a vehicle are offered a 30% discount on lift tickets. The resort also provides financial support to a local bus system to encourage public transport use and reduce vehicle congestion and air pollution. Similarly, Aspen/Snowmass6 partnered with the City of Aspen to provide carpooling guests (with two or more adults) a free parking pass for all-day parking at the resort. Several airports are also rewarding the eco-conscious. For example, at Boston Logan Airport7 those who drive hybrid cars get preferential parking and taxis with low emission vehicles are eligible for a US $ 25,000 grant (from the government). Hybrid taxis also have privileged front of the line passenger pick-ups at the airport. Similarly, San Francisco airport has a Green Rental Car program that rewards customers renting hybrid cars with a $15 discount8. Targeta Verda9 or Green Card is an initiative of the Balearic Island Foundation to raise funds from tourists for sustainable development projects while giving discounts for visiting attractions and buying commercial products. The card costs 10 euros and is valid for 15 days for visitors, and for one year for residents while its benefits include free bike hire. Funds from the card have also been put towards various ecological restoration projects on the island, heritage interpretation and visitor awareness programs. Many tourist attractions (such as zoos) already sell products in their gift shops, which are produced responsibly and in some cases, the purchase of an item may provide a portion of the cost towards some conservation effort (for example, save a threatened animal from extinction). Eco-perks Green Rewards Store10 is a California-based online store that gives eco-points to customers who buy responsibly produced products and services. These could be anything from T-shirts and carbon offsets to stays at places such as W Hotels or Chumbe Island Coral Park in Zanzibar. The company also sells a wide variety of low-impact tourism experiences at various destinations: hanggliding, birdwatching, kayaking, cycling tours and so on. The more people buy, the more eco-points redeemed that can be used to purchase other products and services sold by the company. Eco-points can also be donated to a variety of causes such as environmentally oriented NGOs and ecosystem restoration projects. The company also provides information and tools to help reduce the negative impacts of every-day life. It might be worthwhile to provide visitors with some kind of a reward, however small, because it would help communicate some of the environmental actions a company is undertaking that may otherwise be invisible and thereby raise awareness about an issue. Since most consumer groups have expressed some kind of an interest in purchasing green products, this may help also help to attract new clients. 1. Reem, C. (2009). 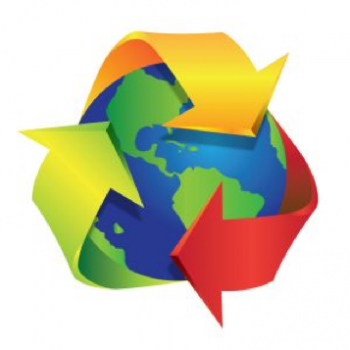 PhoCusWright’s Going Green: The Business Impact of Environmental Awareness of Travel. PhoCusWright. Sherman, CT, USA. 29 p.
3. Philip Island Nature Parks. Wildlife and habitat programs. http://www.penguins.org.au/index.php?option=com_content&view=article&id=36&Itemid=19 Last consulted June 16, 2009. 4. Geographic Expeditions. Responsible Travel. Walking the Talk. 2009 http://www.geoex.com/about_us/responsible_travel.asp Last consulted July 7, 2009. 5. Arapahoe Basin. http://www.arapahoebasin.com/ABasin/about/environment/transportation.aspx Last consulted July 6, 2009. 6. Aspen Snowmass. http://www.aspensnowmass.com/onmountain/statsfacts/statsfacts.cfm?area=Aspen%20Mountain Last consulted July 6, 2009. 7. Massachusetts Port Authority. Preferred Parking at Logan for Passengers Driving Clean Fuel Vehicles. http://www.massport.com/about/press_news_cleanvehiclehtml.html Last consulted July 13, 2009. 8. San Francisco International Airport. Save some green when you rent green. http://www.flysfo.com/web/page/tofrom/rental-cars/greenrentals/ Last consulted July 13, 2009. 9. Foundation for a Sustainable Balearics. http://www.targetaverda.com Last consulted June 4, 2009. 10. Eco Perks. http://www.ecoperks.com/ Last consulted July 2, 2009.